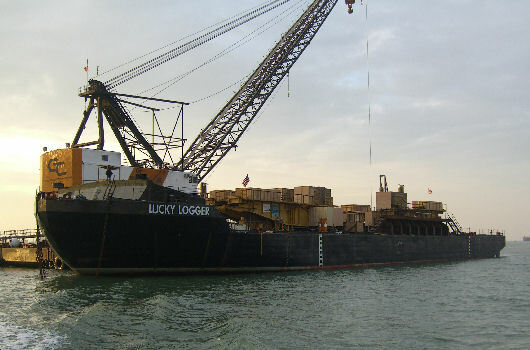 In December 2006, four so-called sleds (self walking winch frames, used to lift the concrete bridge sections into place) were transported from the San Francisco Bay to Ingleside, TX, during the mobilization tow of the cargo barge LUCKY LOGGER. The narrow based and top heavy sleds (each weighing approx. 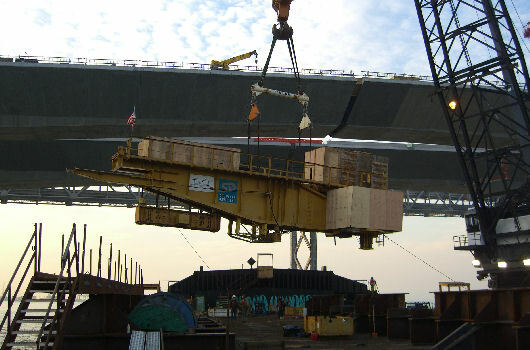 100 t) were lifted onboard and were secured to the grillage using angle bars and steel plates. 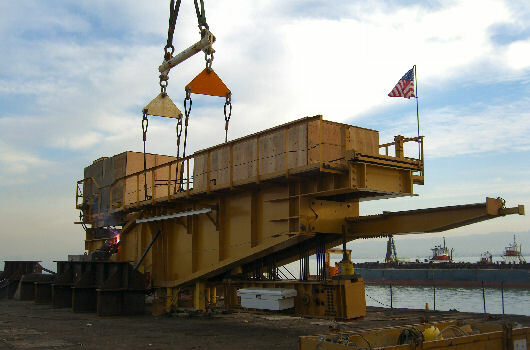 The grillage was pre-installed on the barge for the transport of the T1 footing which was to be picked up at Ingleside. 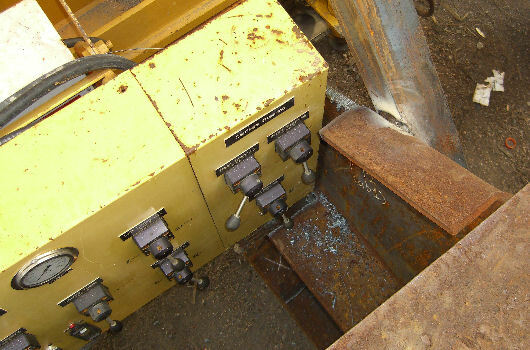 Some small flange sections of the grillage were removed to be able to nest the sleds tight against the main grillage beams. 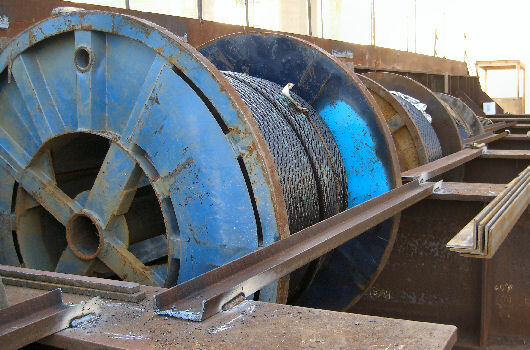 In addition to the 4 sleds, 10 wire spools were also transported. These were stowed and secured inside the grillage structures. ■ Prepare Panama Canal transit drawings.